For superior reach, styling, and effectiveness, look no further than the Green Biohazard Katana. Hand forged in 1045 carbon steel, this full tang blade provides excellent quality for your zombie dispatching needs. The imitation ray skin wrapped handle offers great grip while keeping you a safe distance from your target. 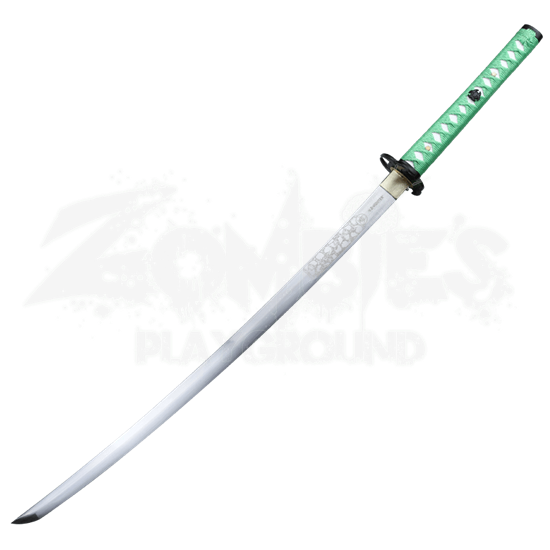 The Green Biohazard Katana has a skull pattern etched near the base of the blade, a biohazard tsuba, a biohazard menuki, and a black sheath with skulls and blood spatter. 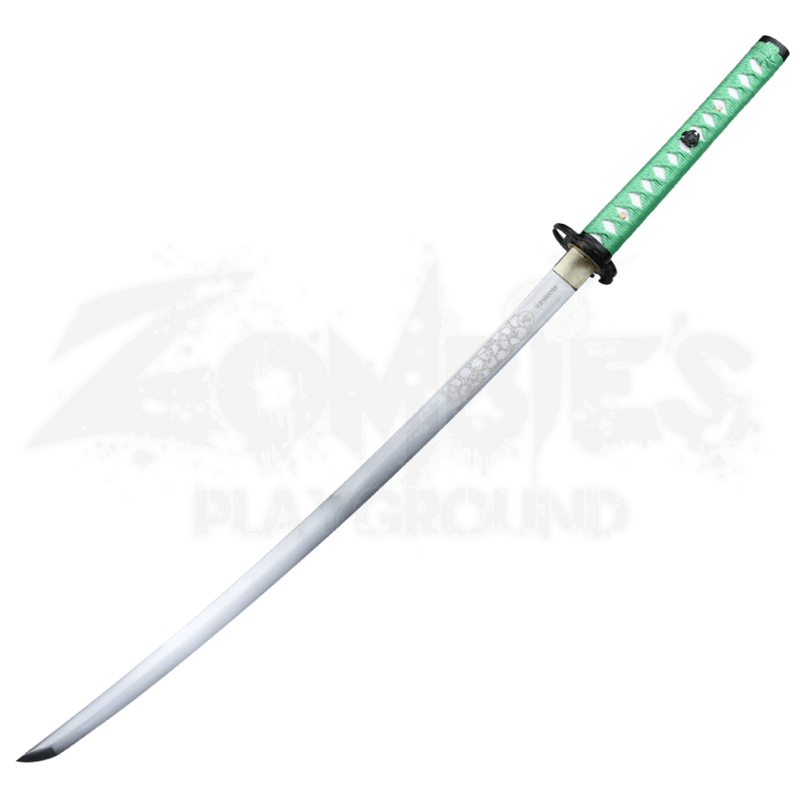 For a fierce looking and functional katana to take you through the zombie apocalypse, you need the Green Biohazard Katana.